Delicious, chewy cookies that are ready in a snap! Perfect for Christmas, lunches, snack time or bake sales! I have a new fabulous cookie recipe for you today! 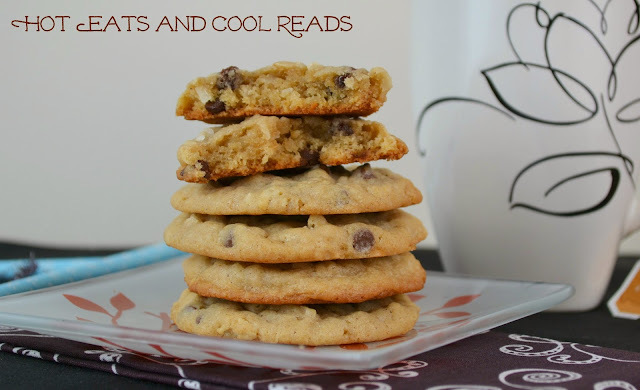 These Oatmeal, Coconut and Mini Chocolate Chip Cookies are chewy, tasty and so easy to make! I'm not a huge chocolate fan, so I love that I used mini chocolate chips in this recipe. The touch of chocolate in each bite is perfect with the oatmeal and coconut. These cookies would be a great addition to your Christmas cookie rotation, or whenever you feel like eating something sweet. My daughter and I both love a homemade chai tea latte and some cookies, especially when it's cold outside. Which is often, too often here in Minnesota. That's when it's time to turn on the oven, warm up the house and get some cookies baking. Then relax and eat them with our mug of tea. We love those moments when we're hibernating from the cold, enjoying the time together. She's only 7 right now, but I can only imagine that we'll be doing this when she's 17 too! I promised a picture of our Christmas tree, so here it is! We're especially excited since this our first full size tree. In a large bowl, cream butter and sugars with a mixer until fluffy, about 2-3 minutes. Add eggs and vanilla, beat for another 1-2 minutes. Sift together the flour, baking soda, and cinnamon. Then add to batter half at a time, mixing until just combined. Stir in the oats, coconut and chocolate chips until combined. Using a cookie scooper, place dough 1 inch apart on parchment lined cookie sheets. Bake for 11-12 minutes, then cool on a wire rack. Store in an airtight container. These flavor combo are awesome! Pinned. This cookie sounds yummy! Oatmeal and chocolate are my favorite! Congratulations on your first big Christmas tree in your new home! 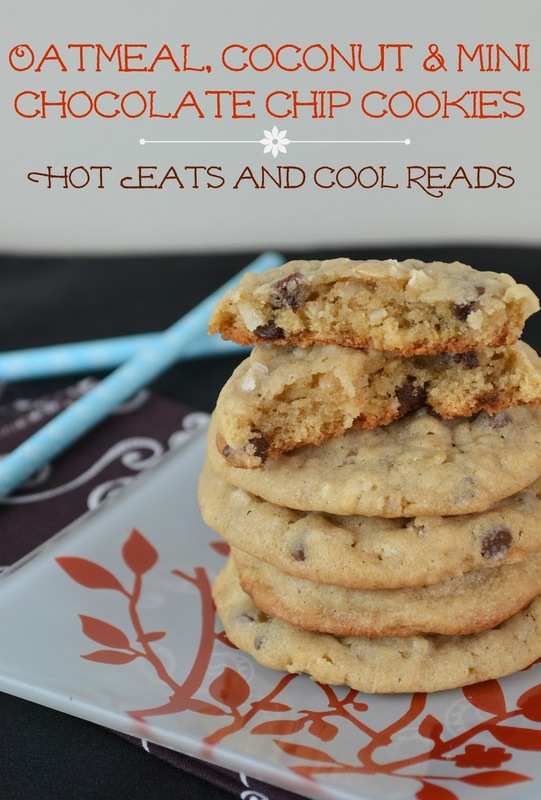 These cookies sound delicious, love oatmeal and chocolate together! This is one of my favorite flavor combinations!! YUM! Your tree is beautiful and so are these cookies! They look so soft and chewy, too. Have a wonderful Christmas in your new home! I am in such a cookie making mood! These look great! I love that you made these mini size and that there is coconut in them. Yum! That's just a winning combo of flavors! Love it all! My daughter is 8, and I also see things I think we will probably still enjoy doing when she is a teenager Love this cookie recipe. Thanks for sharing. I love your tree! It looks so pretty. I also like this cookie recipe! Goodness gracious I love the holidays for all of the yummy treat and cookie recipes I get! These look tasty and I LOVE that you used mini chocolate chips. I LOVE anything mini!! coconut, oatmeal and chocolate, doesn't get much tastier than that! These look divine! Yum! I never got any baking done before the holidays (*hangs head in shame) but hoping to before New Year's! Pinning!